The Second Biennial John Dos Passos Congress held last week at Madrid's Universidad Alfonso X el Sabio - UAX - featured lectures by scholars from around the world and a documentary film screening. While various aspects of the American author's work were discussed, the Congress focused on Dos Passos' relationship to Spain and his friendship with the Spanish academic José Robles, the translator of "Manhattan Transfer" and a tragic victim of this country's Civil War. 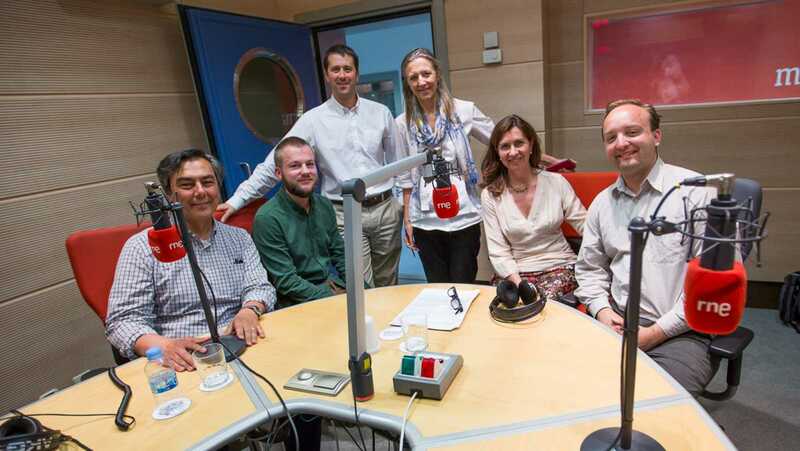 Joining Alison Hughes in the studio were the grandsons of the two friends, John Dos Passos Coggin and Mario Ortíz Robles, as well as Dos Passos scholars, congress organizer professor Rosa Bautista, and professors Fredrik Tydal and Aaron Shaheen. ver más sobre "English language broadcast - John Dos Passos & José Robles Pazo - 08/06/16" ver menos sobre "English language broadcast - John Dos Passos & José Robles Pazo - 08/06/16"